Evaluations are based on record drawings and site information provided by the Agency. Executive level summaries of the evaluations are provided along with the recommended remediation and estimated costs. 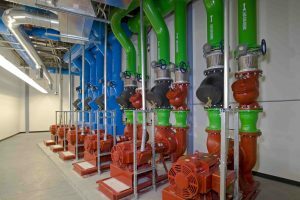 How resilient and fault tolerant is your agency’s data center? Most agencies have back-ups for computer applications, data bases, and operating systems, but they may not have back-up for the servers that will be used to restore service. How resilient is the infrastructure that supports your agency’s servers? Architectural review of conditions in technology rooms (data centers, computer rooms, and computer closets), electrical rooms, and mechanical support areas. Identification of non-compliance to current codes. Electrical review of conditions in technology rooms. Documentation of loads, capacity limitations and watts/square footage design. Identification of capabilities and limitations for expansion. Mechanical review of conditions in technology rooms and support areas. Identification of cooling capacity risks, including designed, in use, and expansion. Expanded site evaluations to include fire systems, emergency power off systems, mechanical control systems, military-grade security systems, physical network systems, maintenance procedures, and disaster recovery training and testing. Evaluation of technology room environments (based on the mission critical standards of the Uptime Institute). What procedures are documented and followed when new servers are placed in the agency’s data center? At what point does adding a single server to a rack bring down an entire data center? Is it more than 30 miles away from the main data centers (required by law for financial institutions)? Where are the log files that document the testing results of disaster recovery procedures? What is the plan for back-up, if there are machines without supporting infra-structure to restore them? Where is the documentation of the maximum and current wattage usage for each of the racks in your agency? What are the procedures used to respond to IT increases in rack density? How do you determine whether rack density changes will create or increase hot spots? If IT has the authority to increase rack density, how do they interact with operational teams to determine that the new loads will not blow circuit breakers and bring down critical production applications? There are numerous accounts of mission critical data centers that have been brought down due to un-filtered utility power issues, ineffective power quality monitoring, and incorrect power mitigation devices. Review design drawings and modifications to verify compliance to current codes, and determine solutions for out-of-compliance items. Verify that area separations are intact, and openings meet the design ratings. Verify that new openings are compliant with the design. Identify issues related to current data center boundaries, site conditions, surrounding areas, building type and age of building. Verify square footage of raised floor and raised floor manufacturer. Verify floor load rating and seismic anchoring methods, where applicable. Document ceiling height, return air spaces, roof type and conditions, adjacencies to the site, and easements. Document proximity to network access routes, public access to the site, entries and exits, and proximity to hazards. Recommend remediation with estimated costs. Review design drawings and modifications. Determine design capacity vs. installed capacity vs. expandable use capacity. Verify main service and providers. Verify equipment on site by manufacturer, model, rating, condition and capacity installed. Review current data center electrical uses, trend for expansion or replacement, and for modifications to achieve design capacity. Identify issues. Verify IT loads on electrical equipment, observe power monitoring and power quality monitoring. Verify monitoring of output alarms on power equipment. Document PDU’s, UPS’s, SWBD’s, generators, parallel SWBD, ATS’s, coordination study and updates, transfer tests, and maintenance. Document expansion requirements, future electrical needs, exposures, and limits. Document any single point of failure. Provide recommended remediation with estimated costs. Verify main data center cooling method. Verify all equipment on site by manufacturer, model, rating, condition, and capacity installed. Review current data center mechanical uses, trend for expansion or replacement, and modifications to design capacity. Identify issues. Verify loads on mechanical equipment, observe monitoring, review back-up and water storage needs. Document CRAC’s, CRAH’s, chillers, cooling towers, pumps, filters, mechanical system updates, transfer tests, and maintenance records. Document expansion requirements, future mechanical needs, exposures, and limits. Review mechanical monitoring and controls for diversity, alarm capacity, and system capacity installed vs. used. Determine change control processes for mechanical monitoring and controls. Review controls and monitoring network and back-up systems. Verify N or N+1 on critical monitoring and alarm systems. Verify maintenance procedures and all outsourced maintenance contracts. Verify critical electrical maintenance performed or required. Review training of maintenance team, and vendor support related to equipment upgrades. Verify periodic cross training and maintenance of critical systems. Review fire suppression and detection systems. Verify regular maintenance. Recommend upgrades to meet current codes for fire systems. 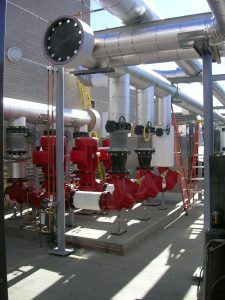 Review wet, pre-action, HSSD, and gas suppression systems. Document EPO and leak detection systems. Review security coverage on the exterior and interior of the data center. Verify security controls for equipment move-in. Verify site security and site access. Verify data center security equipment. Verify equipment on site by manufacturer, model, rating, condition and capacity. Document site expansion capacity. Review physical network route, redundancy, providers, diverse pathways, physical separation from other areas, and access to critical network equipment. Document data recovery system procedures. Document transfer tests, records storage on-site and off-site, back-up and restore procedures. Document data recovery training, back-up sites, and network transfer procedures.